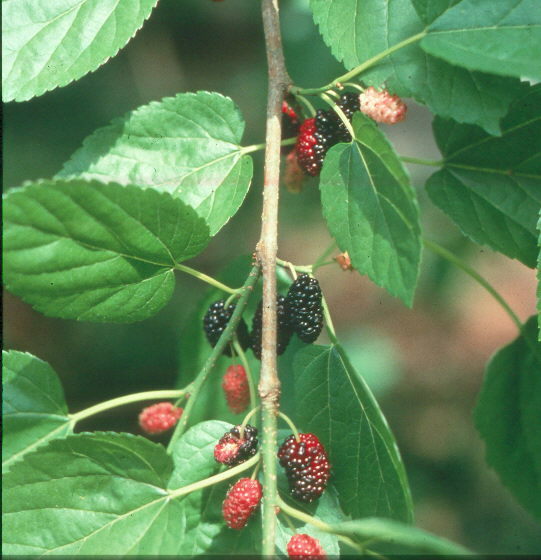 Comments: Mulberries are dioecious, with male and female flowers are normally on separate trees. Male flowers are catkins and female look like the immature berry. The ripened fruit turn from red to black and are edible and birds readily consume them.